The most important factor in destination wedding is that it’s an experience in itself for everyone involved with the wedding and not just the immediate families of bride and groom, as exploring the destination is an added attraction for the guests and certainly for the bride and the groom to take the vows in the most picturesque location possible. When it’s about destination wedding photography locations, it’s a golden opportunity for the photographer as the location accentuates the beautiful wedding settings and surroundings. There’s much to explore photographically and to experiment with the techniques. Any photographer would prefer such ideal atmosphere to enhance the results. One of the ideal wedding destinations is Veritas Vineyard & Winery in Afton, Virginia. It’s very much accessible from major cities and still offers the most picturesque location. 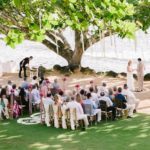 The main attraction is the surrounding area and not just the resort, so there’s a lot more scope for a destination wedding photographer to experiment. With pleasant weather mostly throughout the year, it’s an amazing experience for a photographer. The lush green lawns and the surrounding view of the Blue Ridge Mountain offer a perfect backdrop. It’s the most beautifully accessible location along with great atmosphere and wines. 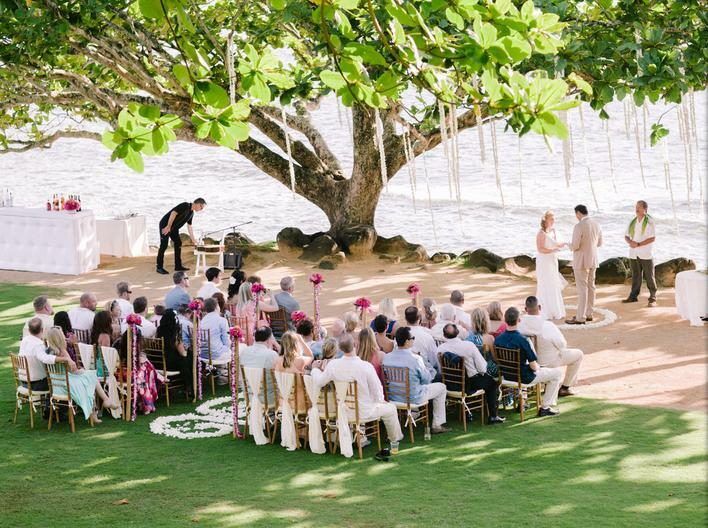 Kauai Island is the oldest island of the Hawaiian Islands and is possibly one of the most beautiful wedding destinations in the USA because of its lush green tropical beauty. With pristine beaches and emerald blue water one can be just mesmerized by the locales. It does offer a perfect combination of exclusivity with the isolated location and purifying serenity making it one of the most awesome destination wedding photography locations. The islands are indeed the most ideal for wedding photography as the vast blue sky offering the perfect canvas to capture the bride and groom exchanging the vows and performing the rituals. As well as the traditionally dressed up colorful guests sums up the perfect scenario for photographs that will be cherished for years to come.